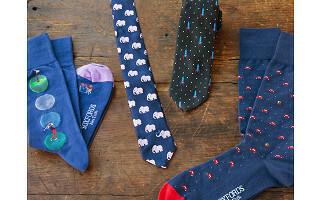 That’s the motto for Soxfords, whose personality-laden socks and accessories are sophisticated, too. The seed was planted when Ryan Kent wanted to buy his dad some fish-themed socks for Father’s Day. Ryan only found kitschy ones his dark-suit-wearing dad couldn’t don in the office. He decided to create his own workday-appropriate designs that are lighthearted yet ready for business. Comfy and durable, each pair is made with two-ply Pima cotton yarn to wear well with less pilling. When their socks took off, Soxfords started to design other accessories for men and women with that same attitude. Everything will please both your practical and whimsical sides. How do the socks fit? One size fits most, and all of our designs will comfortably accommodate US men’s shoe sizes 8 - 13, women’s 10 – 14 (unless otherwise noted). You're a size 14 US Men's? 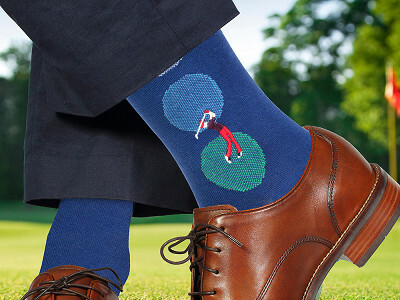 You should be good, but if you're also over 6 foot in height, we'd recommend sticking to a mid-calf sock design. Mid-calf socks will fall just below the thicker part of the calf on most men. These are preferred by many as an easy to wear style that works well both casually, and for dress. What is the blend of the socks? 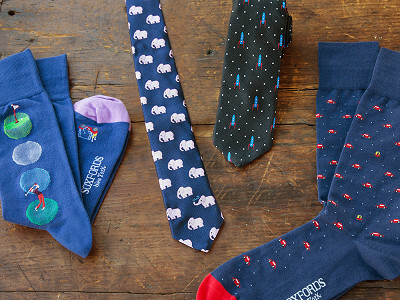 Our Embroidered Socks are crafted of 65% premium Peruvian Pima cotton, 32 - 33% nylon, and up to 3% Spandex. All socks are designed to provide the perfect amount of stretch needed to mold our socks comfortably around your legs without cutting off circulation. Does the fit of the socks vary? There are small variations in size between designs, and not every design will fit exactly the same. Each unique pattern is knitted differently, causing slight variations between styles. Socks also tend to flex a bit as the stitching relaxes after production, causing the finished dimensions to adjust based on the knitting tension of the plaiting and body yarns. A design with a heavy pattern will stretch differently than a design without much of a pattern, and socks of different materials will flex differently as well. This holds true across any brand of socks you'll find - we just wanted to point it out! What is the material of the ties? 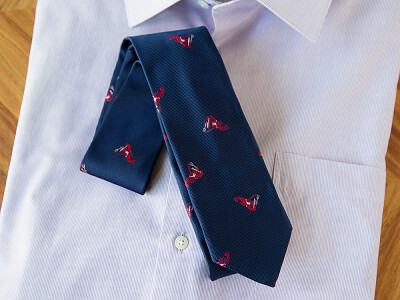 Our embroidered ties are made in the USA from 100% silk. Made at a local NYC factory with a brilliant history of producing some of the finest neckwear around, these ties are our own unique spin on a classic. At 58" long, and 3" wide, these ties are of a traditional fit, slightly tapered for a modern look, and suited for most men. Hello Grommet fans! 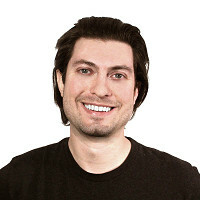 I'm Ryan Kent, Founder of Soxfords. Thanks for taking the time to check out my line of men's accessories, featured as today's Grommet! After a fruitless search for a classy line of quirky accessories yielded nothing but poor-quality novelties, I founded Soxfords with the idea that we should all "grow up, not old." 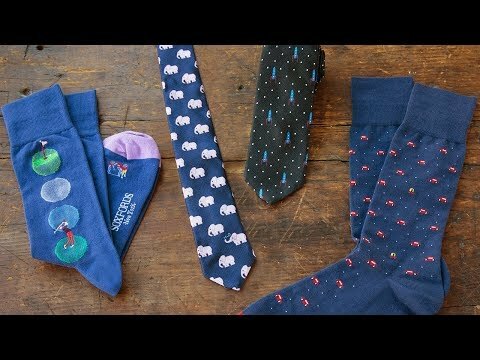 Featuring originally designed socks, neckwear, and accessories carefully crafted of high-quality materials, Soxfords offers a unique alternative to the traditional menswear line. My wife, Meredith, and I built this business from the ground-up, and have taken our time at making sure our designs are the best-looking, and best-wearing around! Want a close-up look at Soxfords' design? Here you go!